This week's moving Dvar Torah is by Simon Jackson, legal adviser to Torah Mitzion. In this week’s parsha, Ki Tissa, Moshe is commanded to: “take sweet spices… and make it into incense, a compound according to the art of the perfumer, well blended, pure and holy; and you shall crush some of it very finely… it shall be to you holy for Hashem” (Shemot 30:34-38). 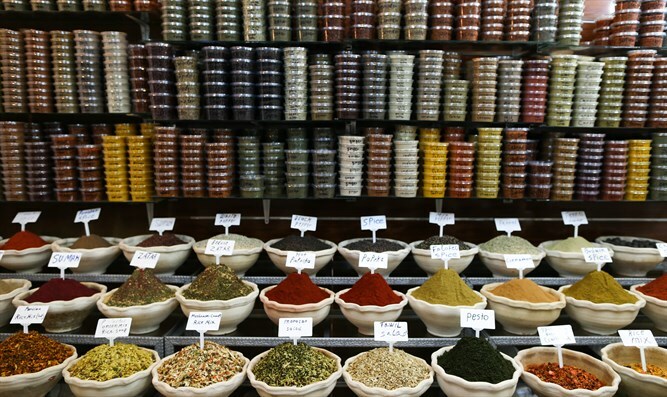 Sound is Beneficial for Spices! Similarly, in the words of the Yerushalmi (Yoma 4:5), which we (should) say in the korbanot prayers every day: “Rabbi Natan said: As one would grind the incense, he would say (omeir): ‘Grind thoroughly, thoroughly grind’ – because the sound is beneficial for the spices” (mipnei she’hakol yafe la’besamim). For some reason, then, speech/sound has a salutary effect on spices that are in the process of being ground (the smaller the particles, the better the aroma extraction)! Indeed, certain researchers have suggested that plants respond positively to exposure to sound vibrations – possibly due to the carbon dioxide that is produced when people exhale as they speak. Or perhaps because the speech spurs the pounder to grind them properly, to the beat of a regular rhythm – much like a personal trainer helps/encourages an athlete (this would explain the Bavli’s wording, according to which it is the anonymous foreman, standing over the grinder, who utters the formula)? Speech is Beneficial for the Pounder! Rabbi Avraham Portaleone was an Italian Jewish physician of the Renaissance period. An annotated version of his encyclopedic work on the Temple, “Shiltei Ha-Gibborim,” first printed in 1612, was published in recent years by Kollel “Beit HaBechira” in Carmei Tzur, Gush Etzion. It is an amazing work, which describes in immense detail such matters as the musical instruments used by the Levi’im and the harmony in their singing; the Parochot, and the manner in which they were suspended; the Keilim of the Mikdash and the Bigdei Kehuna (including the prices and weight of diamonds! ); and the identification of the spices used in the Ketoret and the special anointing oil – in our parsha! Symptomatic of the period in which Rabbi Avraham lived was a greater awareness of the field of health and the science of medicine. Thus, he writes that, at the time of pounding the spices for the ketoret, the pounder himself (as in the Yerushalmi’s version) would say the words: hadeik-heitev, heitev-hadeik. This sound is good for him, the pounder, against the damage in the spices, he writes, because when they are properly ground, the afrurit (dust) of the spices can enter the pounder’s throat dangerously, causing him to sneeze excessively or heat up the pounder’s throat, which can afflict him with diphtheria. By saying these words, the pounder thus expels the ascent of the dust out of his throat! It follows that Rabbi Avraham and other like-minded commentators (e.g. Rabbi Pinchas Zivchei in his massive 1,100 page volume devoted exclusively to ketoret, Me-Zahav U-me’Paz) read the Hebrew words of the above-cited Yerushalmi with just one small change: mipnei she’hakol yafe la’bAsamim (vowelized with a patach), rather than la’bEsamim (vowellized with a sheva); the former means “the sound is beneficial to the pounder,” rather than for the spices themselves! “Balsam is the first and choicest of the perfumed spices, and is superior to all others, and it grows only in the inheritance of the land of the Jews… and this tree is currently a slave to his own people, and it pays taxes to the Romans”. “So that I do not ignore the goodly and holy oil, viz. the anointing oil, commanded to the Master of the Prophets in Parshat Ki Tissa, I said that it is proper to teach you according to this Torah the manner of its preparation.